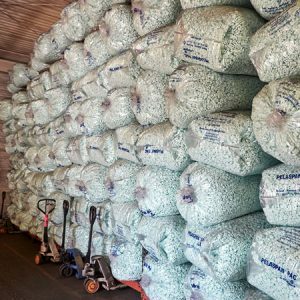 Shifting contents and broken items are a thing of the past with void fill from Fibers of Kalamazoo. Our void fill comes in bulk and protects your cargo in transit and storage. Fibers offers void fill including crumpled paper products, air pillows, foam, and packing peanuts from manufacturers like Storopack. Order void fill from Fibers of Kalamazoo today to ensure your products arrive in the same condition you intended! In need of additional supplies? 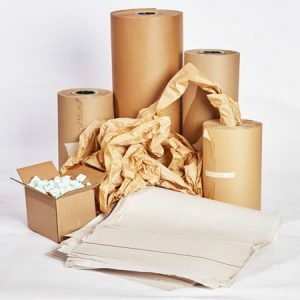 We also carry corrugated boxes, tape, and a wide range of other packaging products! Don’t forget; Fibers of Kalamazoo also carries safety and janitorial products to cover all aspects of your operation. Fill out the form below or contact us today for more information. Our knowledgeable sales staff is eager to find the best stretch film and packaging products for your organization!